Happy new Protected content ! Wishing you all the best! Let's experience another winery in the charming Woodinville wine country. Daniel Peccia who is an Internations member and works at this winery, he’s going to host the tasting and explain these great Eastern Washington wines. -We're going to get 10% discount on bottles of wine. -A five wine tasting is $15 per person. The tasting includes 2 whites and 3 reds. -Anyone with a Woodinville Wine Passport can enjoy the wine tasting for free. 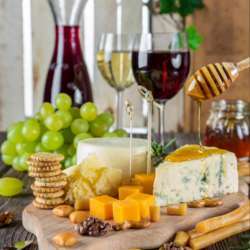 -The winery also offers meat and cheese plates to pair. The winery can accommodate 20 people so please RSVP if you're 90% sure. We usually have a wait list.